Why Torrance? In 2017-2018, the population was 145,438. Why Torrance? Housing …Single Family, Condos, Townhomes, Multi-family, Mobile Homes …. The median home cost in Torrance is $820,900. Home appreciation the last 10 years has been 37.0%. Home Appreciation in Torrance is up 7.7%. Why Torrance? Let’s see what else Torrance has to offer! Are you in? It is time to Discover Torrance. From beaches and outdoors sports to fine dining and shopping, we have something for everyone! Are you looking for an event venue, place to eat or drink or a place to stay? 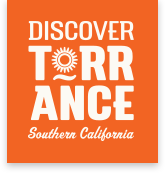 Have you discovered all the things Torrance has to offer?